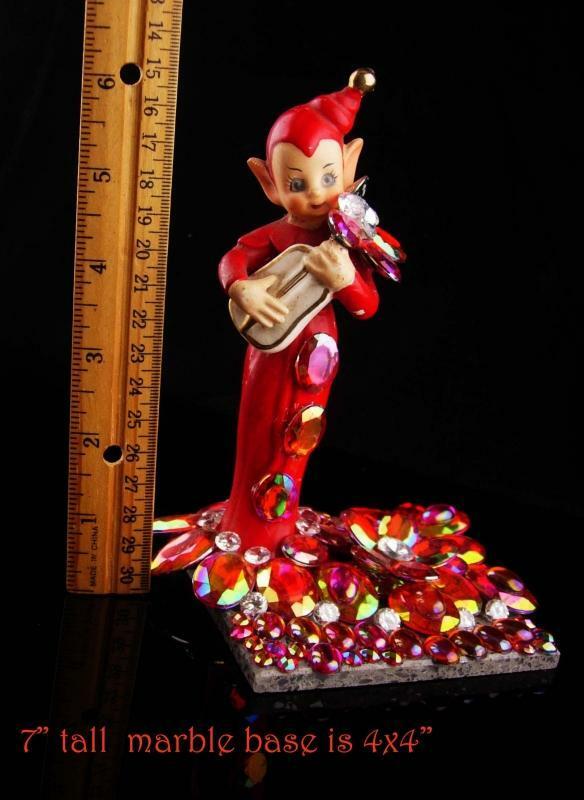 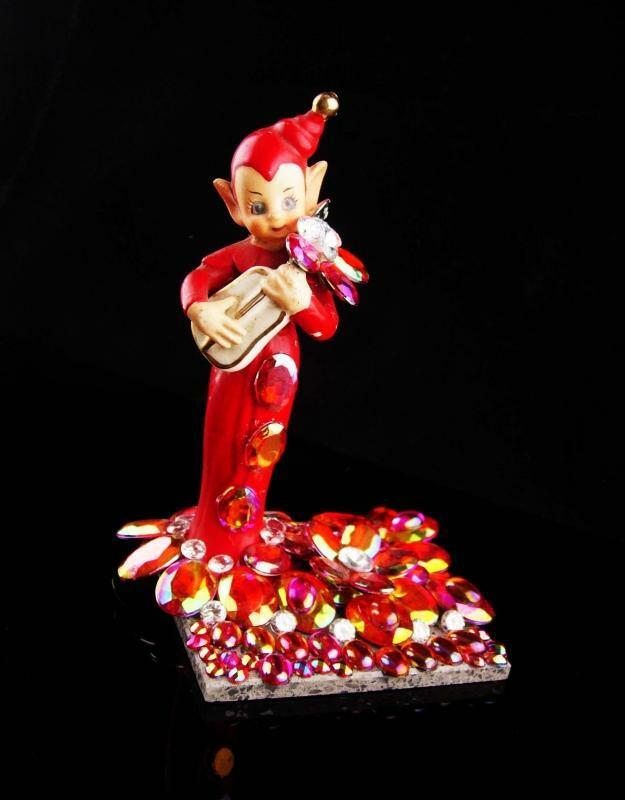 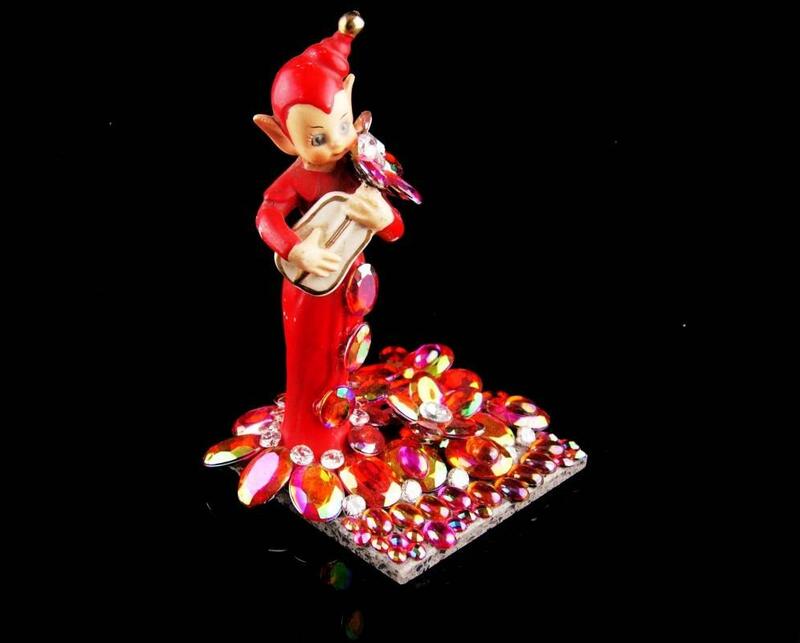 This 40's elf was all glitzed up with huge red aurora borealis stones by an artist in the 80's . 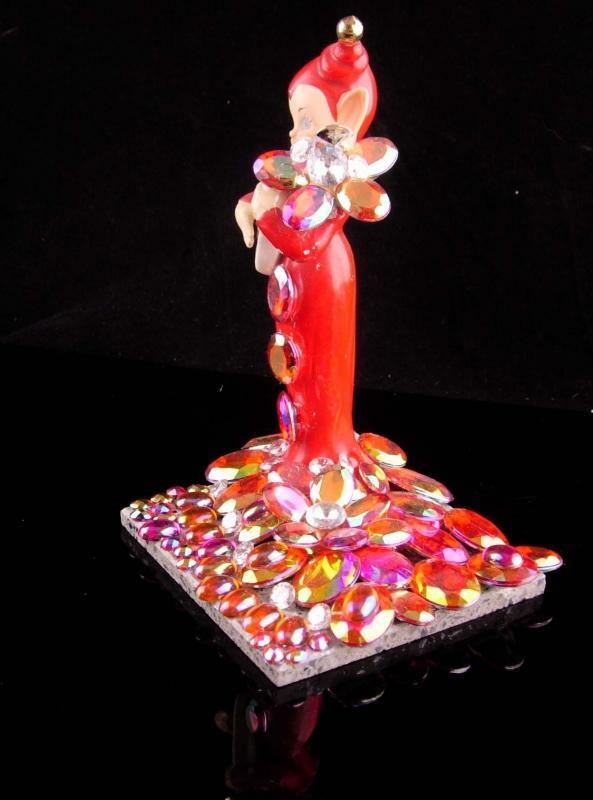 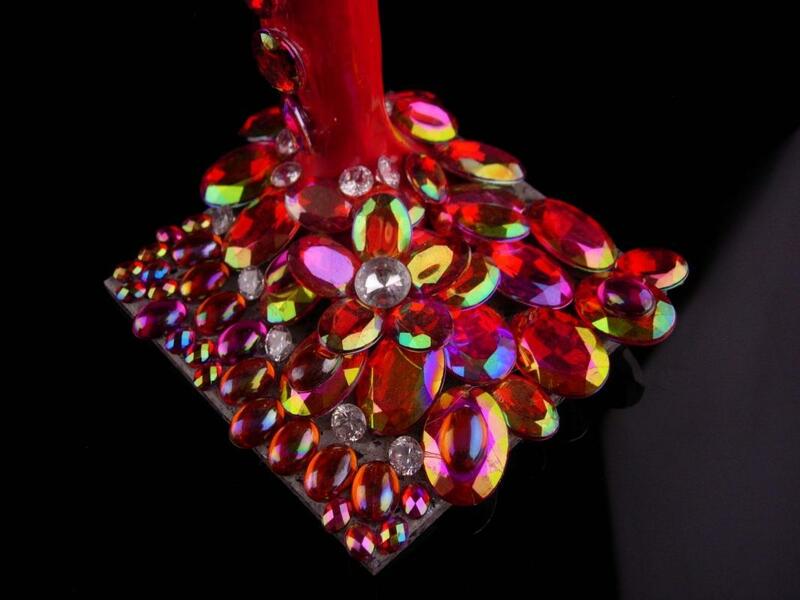 He holds a huge rhinestone flower and when the light hits all these red and orange stones he really shines. 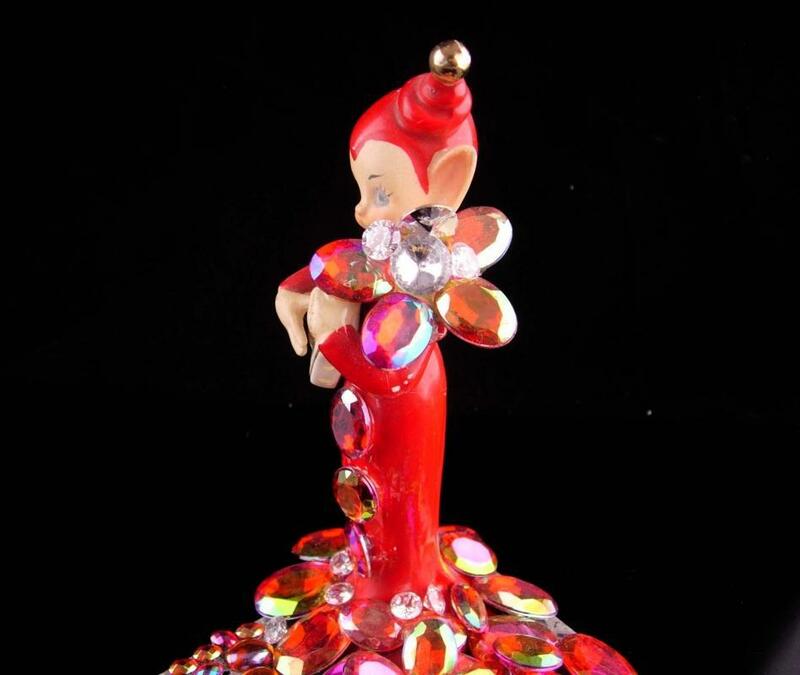 One of a kind and truly original. 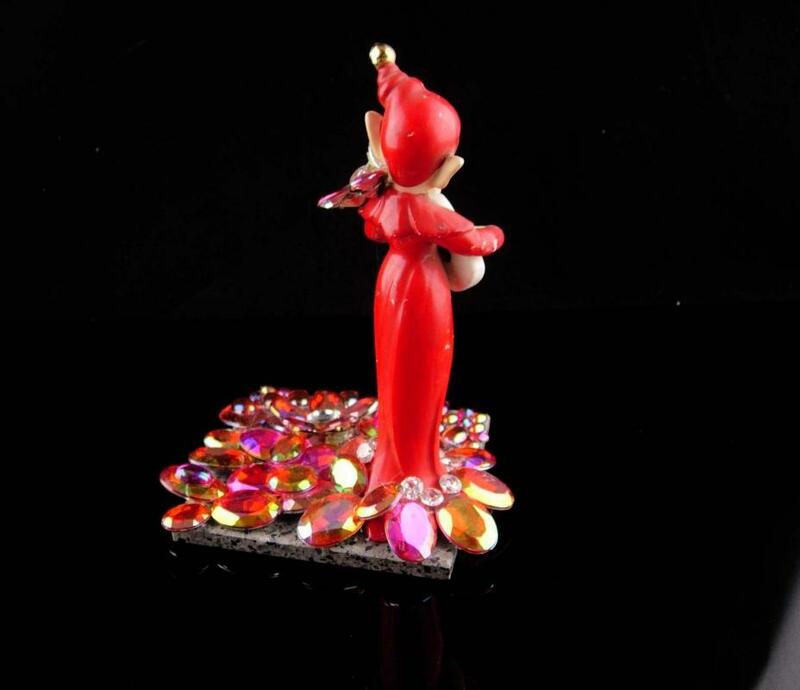 The statue is old.... the marble base is also old.